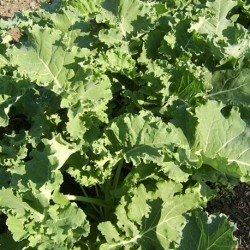 Red Russain Kale has a milder, sweeter flavour than traiditional varieties. The leafs are green-grey and frilly a bit oak leaf like. They can be used when very small in raw salads. The red veines get darker in the cold. The older leaves can be used as cbbagae leaves, blanched or steamed. Excellent cold tolerance. 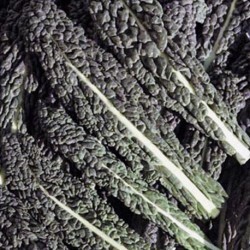 Kale is a brilliant leaf vegetable, great source of Vitamin C, Pro-vitamin A, folic acid and iron at times when there are not many other fresh veg is available from your garden. 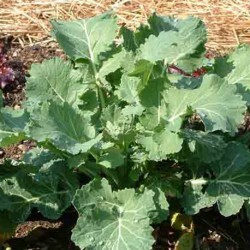 Sow the Red Russian kale seeds outdoors in April - June in a well prepared seed bed in the spring, in drills 0.5 cm deep and about 30cm apart. Or in seedtrays February - March indoors. Thin out to 20 cm apart; when plants have 4 true leaves plant them into final position 70-100 cm apart. When seedlings are large enough to handle plant them outside in well dug up bed. Pick the leaves regularly from October to March; the centre stem may be pinched out to encourage side shoot growing. 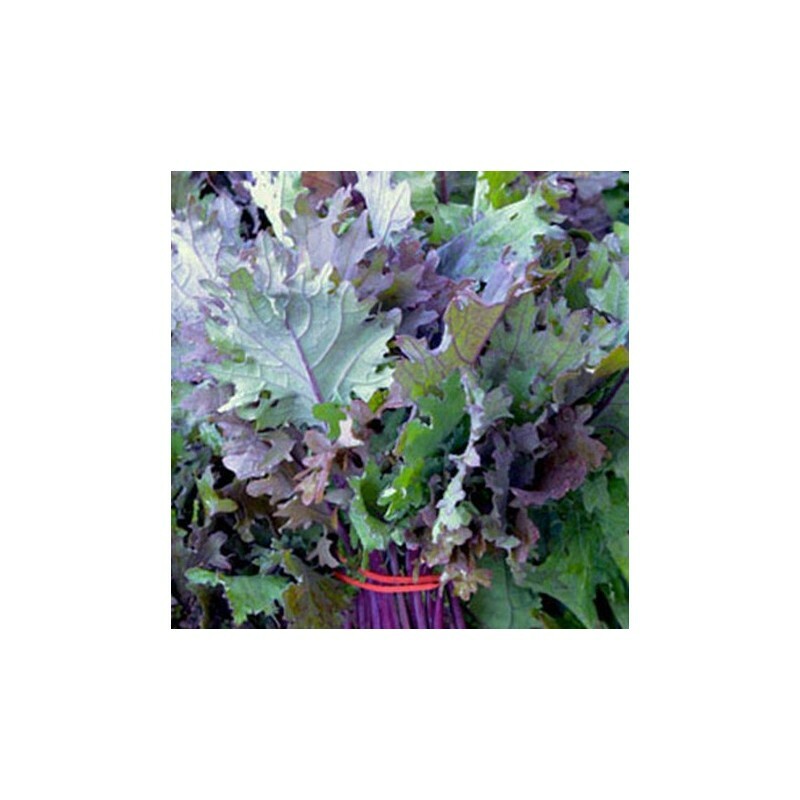 Nero di toscana can be treated as a cut and come again crop, as the baby leaves are really delicious in raw salads or gently steamed when a bit older.